Billy C. Bivins III began interning with National True-Test, Inc. in 2004. During college, Billy worked on CAD files for National True-Test, Inc. He graduated from Auburn University with a bachelor’s degree in Mechanical Engineering. He also holds NEBB’s qualification of a Certified Professional in the following: Test, Adjust, & Balance, Sound Measurement and Vibration Measurement. Billy has been responsible for test and balance projects such as the 12 story Children’s Hospital Expansion Facility in Birmingham, AL & overseeing Grandview Medical Complex exceeding 1.2 million square feet located on Hwy 280 in Birmingham, AL. Billy was published in The NEBB Professional magazine for his design of the Test & Balance/Commissioning Calculator App for both Android & iPhone operating systems. The App is used by TAB Technicians, Commissioning Authorities, Building Owners and Engineers. He also earned the Boy Scouts of America’s highest rank of Eagle Scout. 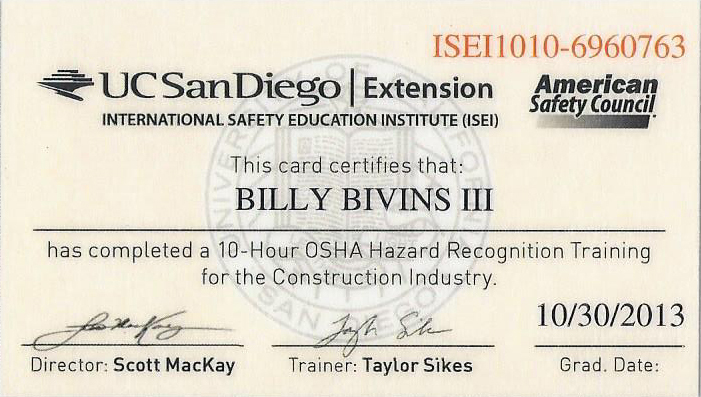 Billy completed the 10-hour Occupational Safety & Health Administration (OSHA) Hazard Recognition Training for the Construction Industry and is a member of ASHRAE. 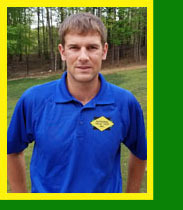 Alec Monroe, Jr. joined National True-Test, Inc. in 2007 and is a NEBB certified technician. Prior to working at National True-Test, Alec served in the United States Marine Corps for four years as a field radio operator/forward operator. He also worked as an HVAC service technician, during which he installed new systems and serviced existing ones. Alec attended Wallace State Community College. He has 12 years of experience in the general construction field and over 10 years of experience performing test and balance on HVAC systems. Alec has worked on numerous projects such as the Ferguson Center at the University of Alabama in Tuscaloosa, AL, 1.2 million sq/ft Grandview Hospital in Birmingham, AL, Auburn University School of Pharmacy and other projects in the Auburn area.